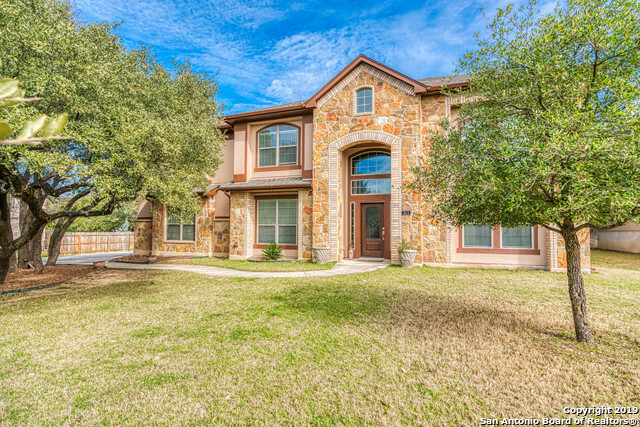 All CANYON RANCH ESTATES homes currently listed for sale in San Antonio as of 04/22/2019 are shown below. You can change the search criteria at any time by pressing the 'Change Search' button below. "Stunning home in gated Canyon Ranch Estates features 5 bedrooms, 4 baths, formal living & dining, study & media room. Interior features include tiled grand foyer w/transom windows allowing natural light, soaring ceilings & crown molding in formal living room. Huge family room w/gorgeous stone corner fireplace. Island kitchen w/SS appliances, built-in micro & smooth surface stove/range. Master is down & offers luxury master bath w/his & hers vanities, deluxe tile shower & walk-in shower. Covered "